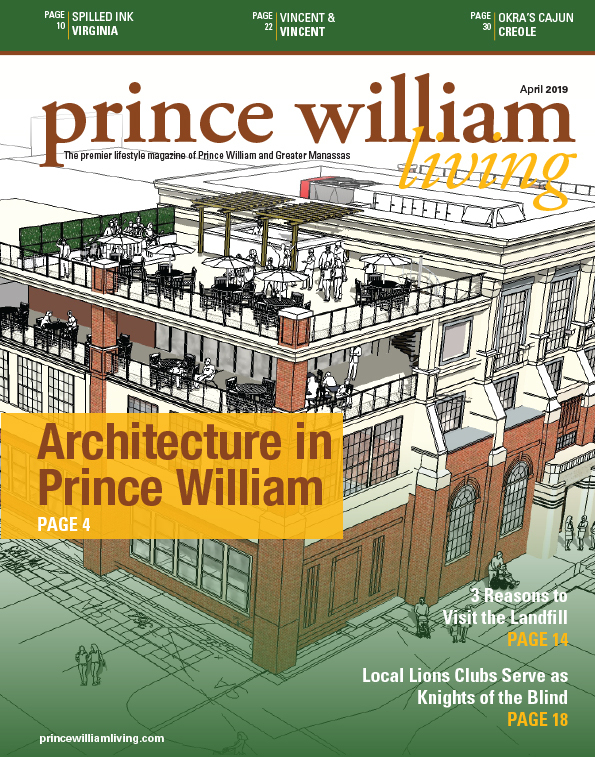 There are more than 4,200 religions in the world, according to some estimates, and while we aren’t sure exactly how many different religions are represented in the Prince William region, many of them are making this region full of vibrant diversity. Regardless of your religion, there probably is a church, synagogue, mosque, a forest, or even someone’s house or other place of worship for you. a few of the many religions that nurture our souls and fill our spiritual buckets on this journey called life. Let’s begin with the denomination that makes up the single largest religious group in the United States. With 22 percent of U.S. residents identifying as Catholic, according to LiveScience, this makes it understandable why in our own region, Catholics topped the list with the most people. 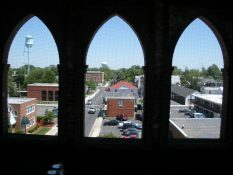 If you look up Catholic churches on thecatholicdirectory.com, there are many to choose from in the Prince William region. 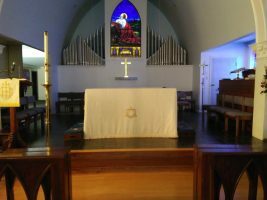 services at allsaintsvachurch.org or consult the online Catholic directory for many others in the region. 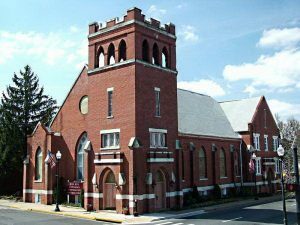 Another place of worship that many in the Manassas area visit is Trinity Episcopal Church (located at 9325 West Street in Manassas). The Rev. Vinnie Lainson, Rector Emerita at Trinity, said, “Episcopalians are people of the book, actually two books: the Bible—we believe all that ‘love your neighbor, feed the hungry, soothe the suffering’ stuff—and the Book of Common Prayer. Basically our services every Sunday, weddings and funerals, and all life in between is how we gather as a community. We are all on a journey, and Trinity is our strength for that wild ride!” You can check out Trinity’s services and get more information at trinityepiscopalchurch.org. 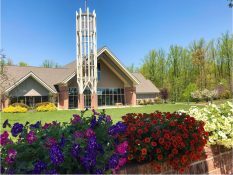 Congregation Ner Shalom is based in Woodbridge and led by Rabbi Lizz Goldstein. For those looking to practice the Jewish faith, another place of worship in the region is the Congregation Ner Shalom. 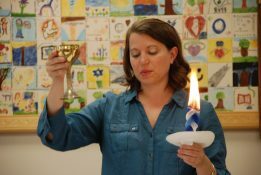 According to Rabbi Lizz Goldstein, the Woodbridge-based synagogue has about 70-member units, including single and family memberships. Sophia Vitter, also from Woodbridge, said, “I come to Ner Shalom because I love the community and the people, and I continue to learn about all the aspects of Judaism.” More information can be found at nershalomva.org. Masroor Mosque in Manassas has almost 750 congregants. With nearly 750 congregants belonging to it, the Masroor Mosque on Hoadly Road in Manassas offers a peaceful place of worship for those practicing the Islamic faith. “Masroor Mosque belongs to the Ahmadiyya Muslim Community (AMC) within Islam,” said Ayesha Noor, director, interfaith relations, Ahmadiyya Muslim Women’s Association. “Mirza Ghulam Ahmad founded the AMC in 1889 as a revival movement within Islam, emphasizing its essential teachings of peace, love, justice, and sanctity of life.” The doors of the Masroor Mosque are open to all people, regardless of faith, color or ethnic origin. Mehwish Pall from Woodbridge said, “My Mosque is not only a place of worship but another home for me. Just like my own home, I can go to my Mosque on any day, at any time and feel at ease. The Mosque not only strengthens my relationship with God, but also provides an opportunity to build relationships of love and trust and bond in sisterhood. I am proud to be a part of this community and grateful that I can call Masroor Mosque my home.” While the website at masroormosque.com is under construction, you can learn more at alislam.org, a community website. Paganism is usually thought of as a nature or Earth-based worship religion. While some may practice their faith in their homes, community centers, or at other churches, services can also be held outside to celebrate nature and various rituals, and events are held throughout the year as well. within the framework of ancestral and Earth-based beliefs.” You can learn more about local Pagan activities and worship at potomac-circle.org. Bull Run Unitarian Universalist (BRUU) church in Historic Manassas is known for its historic, beautiful architecture, but with more than 250 members, they are also active in the local community with a food pantry that serves the hungry and needy in the area, their strong social justice efforts, and many other activities that serve their goal of being a safe community for seeking and service. Art Muirhead from Clifton, who serves as president of the board of directors at BRUU, said, “BRUU appeals so much to me because it provides the kind of warm, caring community that all of us need in an age where individuals are increasingly technology-oriented and physically isolated. We come together for many purposes: worship, music, fellowship, fun, education and desire to make a progressive and positive difference for our local community, our country and the world all people share together.” For information about BRUU, visit bruu.org. One group in the area is doing just that–Unity in the Community. Based in Manassas, Unity in the Community is a group of people of different faiths working together to prevent discrimination, hate and violence in all its forms. Again, there is no way one article can list all the wonderful faiths and religions that exist in the region, but we hope this gives you a peek into the diversity we are proud of in a community that comes together to work towards common goals of peace and friendship, while embracing the grace of your religion and working for a better world. So, whether you are new to the region and looking for a place of worship, or someone who has lived here your whole life and just starting your spiritual journey, there is a place for you.